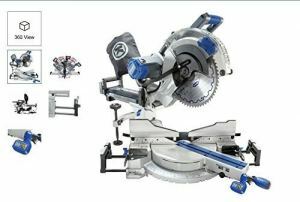 When you’re thinking of buying a new circular saw, it’s highly likely you might not even consider a cordless model. After reading today’s Milwaukee Tools 0730-22 M28 circular saw review, though, you might just reconsider that stance. Early cordless circular saws were pretty limp affairs so it’s understandable that many woodworkers are dismissive of the cordless saw. As battery capacity becomes larger and available voltage climbs, it’s now possible to get far more than just a playful 3 ½-inch circ saw cord-free. Launched in 2004, the original Milwaukee Tools V28 is still available as a bare tool but today we’ll look at the full kit available on the 2016 M28 model. This makes use of the same 28-volt batteries and is essentially just the current version of an old classic with no noteworthy changes. 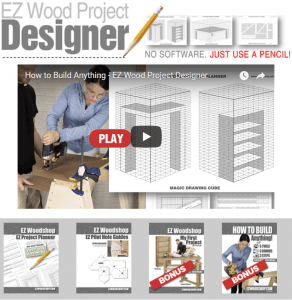 Easy to use and lots of power. I reach for the V28 all the time. 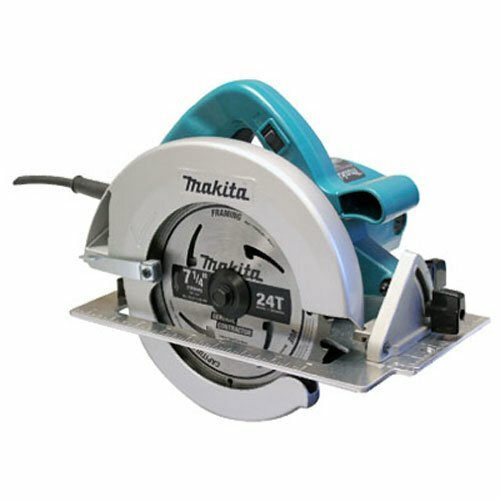 Sometimes for a big job, I need a corded circular saw, but most of the time, this one does the job with ease. The Milwaukee Tools M28 harnesses an exceptional 28-volt lithium-ion battery so you can reap all the versatility of a cordless power tool without being stiffed in terms of power. In this saw kit, you’ll get a brace of batteries along with the charger so you won’t be paying for expensive add-ons and you’ll be good to go as soon as your package lands. Run-time is dependent upon the speed and application so if it’s maxing out at 4200 RPM, don’t expect to keep going all day. If, on the other hand, you dial things back, you’ll get rather longer in the saddle. Imparting a full charge takes around an hour and having a pair of batteries mitigates any down time. The 6 ½-inch carbide blade included has 24 teeth and, while changing the blade is not tool-free, you’ll get the necessary wrench included and it’s not hard work to swap it out when required. Depth of cut is 1.62 inches at 45 degrees and 2.12 inches at 90 degrees. Whether you’re carrying out sheet work or cutting through rafters, whether you’re in the home workshop or out on a construction site where using a generator up on high isn’t practical, the Milwaukee cordless is a incredible, multi-tasking workhorse. There’s an 11-inch fence thrown in with this saw kit so, along with the other extras you get, it’s well worth digging slightly deeper for the kit rather than taking the short view and buying the bare tool. 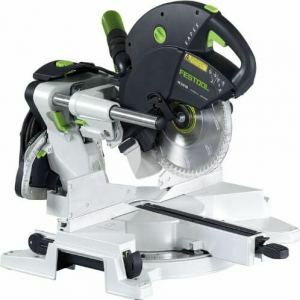 Don’t make the mistake of thinking this cutting power comes at the cost of a bulky, heavy unit, though. The combination of magnesium and aluminum makes certain you’ve got all the strength you need with none of the excess poundage. With its tactile grips, it’s also a real pleasure to wield and very simple to control for precise, accurate cuts every single time. 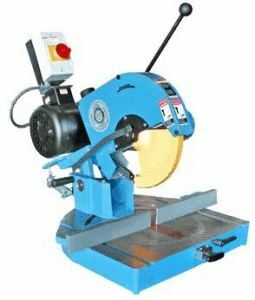 There’s an electric brake which is a crucial feature on the best circular saws. Not only can you slash the power in an instant for safety’s sake, it helps you move smoothly from one cut to the next saving you precious time on the job site. There isn’t a dust port or dust blower with the M28 so make sure you have proper dust extraction in place in order to maintain a safe and hygienic workshop. Buying a cordless circular saw is not the crapshoot it once was, and the Milwaukee Tools M28 can stand up to the very best like-for-like corded models. Indeed, many users owning both corded and cordless saws claim they seldom use anything but their M28 given the straight-up choice of both. Perhaps the highest praise we can give the M28 is that when you’re using it, you won’t really be aware it’s cordless. 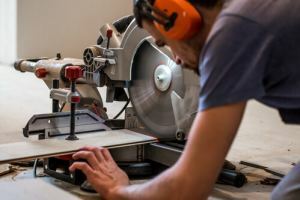 Lithium-ion technology has really changed the game with cord-free appliances and the Milwaukee Tools circular saw is a textbook example of just how far things have advanced. 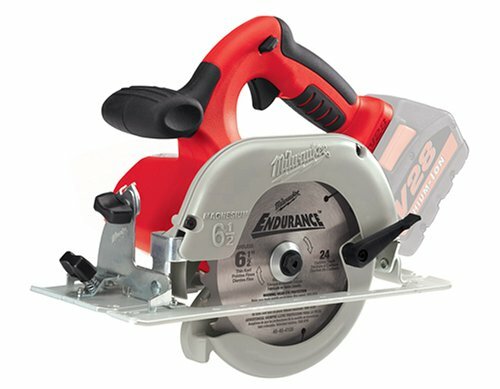 With a dazzling combination of cutting power and accuracy in a lightweight and reasonably affordable package, the Milwaukee Tools M28 is one of the best 6 ½ inch circular saw you can get, period, and not simply one of the best cordless models. 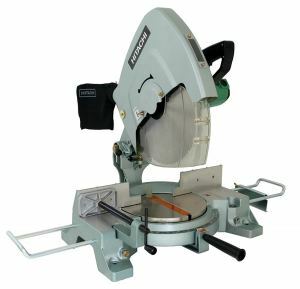 The outstanding 5-year warranty ices the cake and we firmly recommend you check out this extremely capable saw whether you’re a home woodworker or contractor. It punches significantly above its weight and will be one purchase you’re highly unlikely to regret.